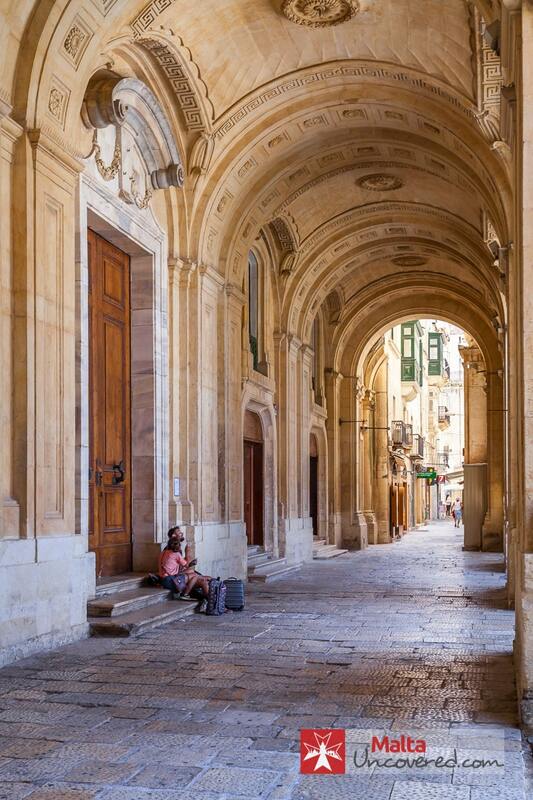 There are enough things to do and see in Valletta to fill a good three days. In fact, there’s an increasing number of tourists who decide to make Valletta their home base for their entire stay in Malta. That’s also because other major locations like Mdina, Gozo, Comino, The Three Cities and some of the better beaches are within easy reach with the main hub of public transport (bus routes) sitting right outside the city. The below are my top 20 choices for things to do and Valletta points of interest. In other words, if you have limited time to spend in Valletta, these would be my top choices. If you were in any doubt over how important religion and worship were to the Order of the Knights of St. John, a visit to the St. John’s Co-Cathedral is the ultimate proof. Without doubt, it’s probably the best point of interest in Valletta. With an unassuming exterior, you would never expect to find a place so richly decorated inside its walls and entering the cathedral for the first time is an awe-inspiring experience. Having served as the conventual church of the Knights for over 200 years, the St. John’s Co-Cathedral is a prime example of artistic impression of the High Baroque era. Opening hours: Mon-Friday: 09.30-16.30h (last admission at 16.00hrs). Sat: 09.30-12.30h (last admission at 12.00hrs). Closed on all Public Holidays. The Grandmaster’s Palace was once the seat of power for the Order of the Knights of St. John, served as the Governor’s Palace during British rule and nowadays houses the Office of the President. Until recently it also housed Parliament until the new Parliament building near City Gate was built. The Palace was one of the first buildings to be erected by the Knights soon after the foundation stone to the city was laid in the 16th century. Expanded and embellished throughout the centuries, the Palace State Rooms (name of the museum) and its halls and rooms are something to behold. The Palace Armoury (accessible through a separate entrance to the side of the Palace’s courtyard) houses the world’s largest collection of arms and armour that is still housed in its original location. The collection is a fascinating glimpse into some of the physical artefacts that remain from past centuries and battles fought. TIP: From time to time the State Rooms may be temporarily closed due to government functions and some of the rooms are currently (2016) undergoing renovation. It’s best to call beforehand. Showtimes (every hour): Mon-Fri 11am – 4pm (last show) and Sat-Sun (and public holidays) 11:00-14:00h (last show). Sundays between Jul-Sep: Last showtime at 1pm. Tours commence at the end of the 45-minute audiovisual show. Entrance fee: €16 (adults), €6 (children). Covers both Malta Experience show and Sacra Infermeria tour. To this day, the primary mission of Order of St. John (or Knights Hospitaller) is to care for the sick and poor. In fact, around the time of their presence in Malta, their practice of medicine was well ahead of its time. La Sacra Infermeria was one of the earliest hospitals they built and it played an important role as the Knights’ main hospital and medical facility. It was also known as one of the foremost educational institutions in the field of medicine. The building still stands proudly on the seafront of the edge of one of the bastions surrounding Valletta and makes for good viewing. Especially its 155-metre main ward, the longest in Europe at the time of construction is impressive. Tickets are usually sold in combination with the audiovisual show The Malta Experience, but if you’re pressed for time you can get separate tickets for just the tour of La Sacra Infermeria. It’s a short tour, but it’s worth having a look inside and getting to know the place and its significance better. The Malta Experience show is interesting and will give you some solid background info before you tour the building. At the tip of the peninsula on which Valletta was built lies Fort St. Elmo, strategically placed to defend the harbours on either side of the city. The fort played an important role during the Great Siege of 1565 in which the Knights and their allies managed to ward off an invasion by the Ottoman Empire (present-day Turkey). The fort held up just about long enough for reinforcements to arrive. The present-day fort was built to replace the ruins of what was left after the siege and although it fell into disrepair over the centuries it’s been magnificently restored recently. 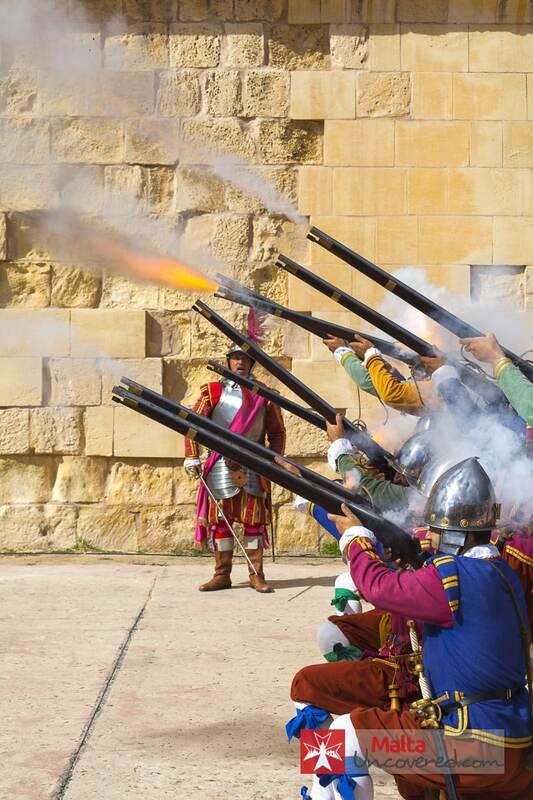 Apart from exploring the fort you can visit the National War Museum to get a glimpse of the conflict and battles that Malta’s seen throughout centuries of foreign rule. You don’t need to be a history buff to find something of interest here, it’s one of the best points of interest that Valletta has to offer. TIP: The actual George Cross that’s visible on the Maltese flag is on display in this museum. It was awarded to the people of Malta by King George V of Great Britain in 1942 “to bear witness to a heroism and devotion that will long be famous in history”. Taking place in the centre square within Fort St. Elmo, usually on Sundays at 11am, the In Guardia parade is a series of reenactments depicting processions from the time of the Knights. Taking place at Fort St. Elmo and lasting around 45 minutes, some 50 reenactors in authentic uniforms and armour of the day carry out military drills and sparring fights to demonstrate their readiness for battle. Don’t forget to bring your camera! It’s one of the best opportunities to capture some action! The Upper Barrakka Gardens are one of the more tranquil spots in Malta’s capital with a brilliant view out over Grand Harbour, also overlooking the Saluting Battery (more below). With a small kiosk and terrace around, it’s a great spot to enjoy a quick snack and coffee as a stop to rest tired legs. Their pastizzi are pretty good so it’s a good opportunity to sample a typical Maltese snack. With direct access to/from the harbour quay below, the Upper Barrakka Lift is also an entry/exit to Valletta, particularly for cruise passengers disembarking for the day near the Valletta Waterfront. 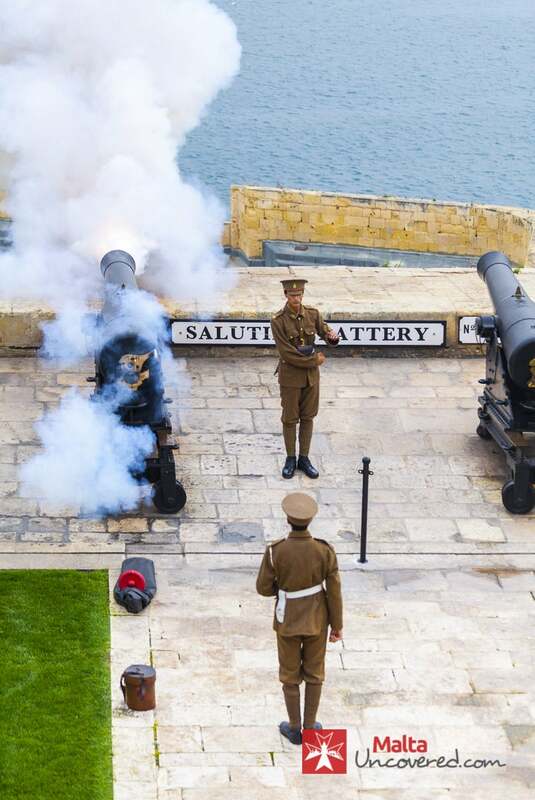 Built and used as a defensive platform by the Knights, the Saluting Battery functioned both as an artillery platform to defend against attacks taking place within Grand Harbour as well as to greet dignitaries and friendly ships entering the harbour. At noon and 4pm sharp, through a short re-enactment, one of the restored guns is fired and it’s quite a spectacle to admire. You can view the action from underneath the arches of the Upper Barrakka or you can choose to pay a small fee and get access to the battery and its facilities for a guided tour (including multi-lingual audio guide). The bell was inaugurated by Queen Elizabeth II in 1992 to honour over 7,000 people who lost their lives during the WW2 Siege of Malta, between 1941 and 1943 and to commemorate the 50th anniversary of the awarding of the George Cross of Bravery by King George V.
It’s a good photo opportunity with some lovely views out over the harbour. The bell is rung at noon sharp, daily. If you happen to visit the location around that time keep your distance and cover your ears! Located right opposite the Siege Bell War Memorial and easily recognised by the arches lining its harbour-facing side, lie the Lower Barrakka Gardens. Less popular than its Upper cousin, the Lower Barakka Gardens are a peaceful little haven to have a quick break and enjoy the views (and shade!) with a drink and a snack from the kiosk present near its entrance. Explore the ingenious plans and designs behind the city of Valletta and its fortifications, from the towering high bastions to the strategically placed forts and its surrounding harbour area and fortifications. The Fortress Builders exhibition is a bit of a hybrid between a museum and an information point, with a lot of knowledge on display, through audiovisual presentations and interactive, multi-lingual touch-driven displays to help you explore and learn. Although seeing what is believed to be the third-oldest active theatre in Europe (built in 1731) come to life during a sell-out performance is a lovely experience, events aren’t organised very frequently here. The next best thing is getting a 30-minute audio-guided tour through the building and its museum, at a modest €5 fee. The theatre’s interior is something to behold and its survival throughout the centuries remarkable. The National Library was one of the last buildings erected in Valletta by the Knights. With an already extensive library of books built up over the centuries, mostly books donated to the order by deceased Knights, it was built in 1776. The building’s neoclassical design and the tall book-lined stacks are worth admiring and taking in, as are some of the authentic old documents on display. You’ll also find temporary exhibitions there from time to time. Keep an eye out for updates on upcoming events on their website. Entrance fee: €9 (adults) and Free for children. Includes guided tour. Casa Rocca Piccola is the family home of the de Piro family that offers you a glimpse of how the aristocracy lived, with age-old furniture and loads of little treasures and decorated rooms. It’s actually still the home of the 9th Marquis de Piro, who opened up part of the house to the public as a museum. A very capable and friendly tour guide takes you through the home, starting on the hour from the courtyard, which also offers access to the home’s WW2 shelter that lies 30m underground. 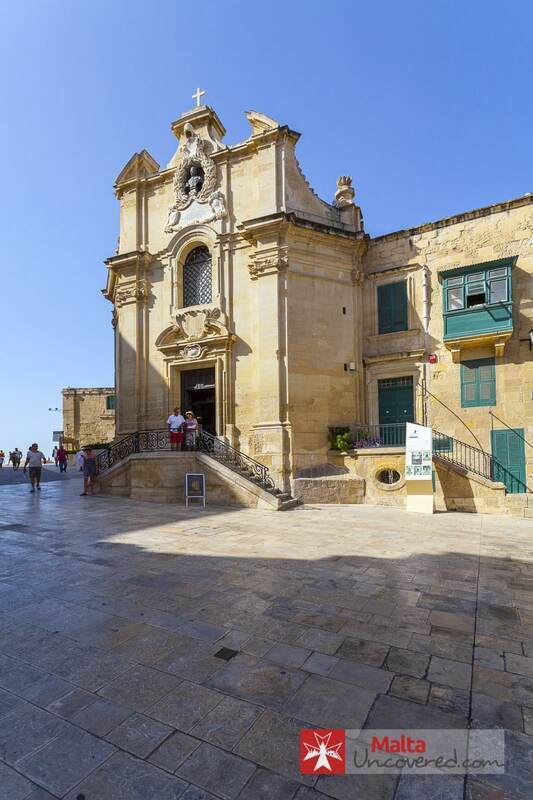 The foundation stone of Valletta was laid on the site of this small 16th-century church, which was the first building to be erected in Valletta and still stands proudly today, having benefited from recent restoration works. 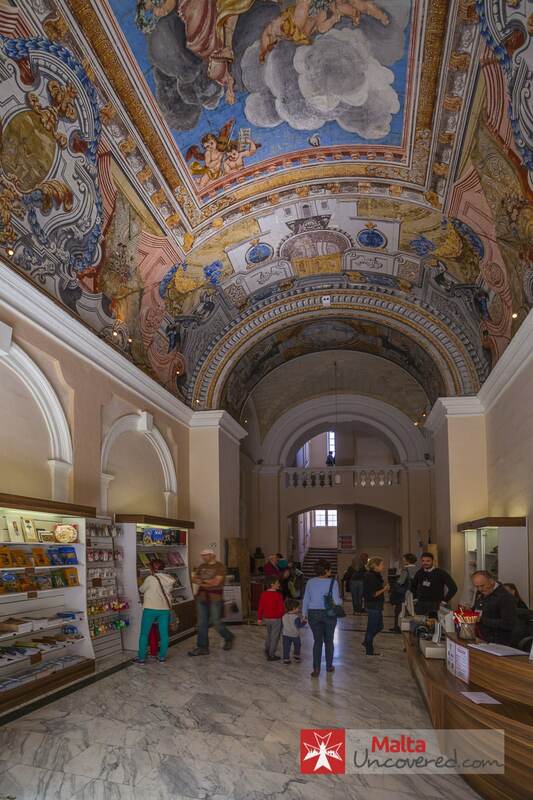 Although small in size, there’s some gorgeous art to admire, primarily the ceiling paintings that depict scenes from the life of the Virgin Mary. Right behind the Church of Our Lady of Victories, lies one of the oldest fortifications buildings in the city, St. James Cavalier. 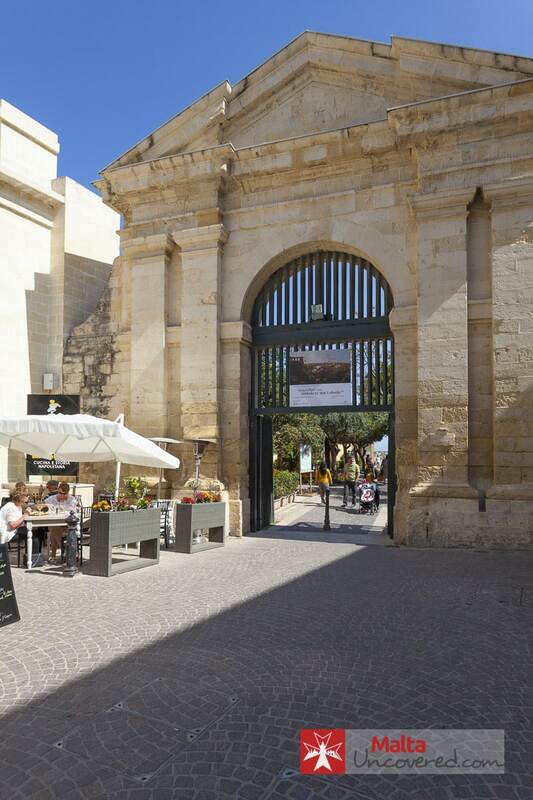 The building was one of the original fortification buildings planned by the Knights and its carbon copy, St. John’s Cavalier sits roughly in the same position relative to the main entrance to Valletta (City Gate). Originally functioning as a gun platform to defend Valletta from landward attacks, the build now functions as the Centre for Creativity. Having undergone major restoration in the late-1990s, St. James Cavalier offers local artistic talent by offering exhibition space and facilities to host events and performances. Apart from regular exhibitions and events, it’s worth having a little walk around inside the building. This underground complex of rooms is believed to be one of Malta’s best kept secrets from WW II, forming the heart of the British war defense HQ, from where missions were coordinated and enemy forces monitored. A tour of the complex takes you back to the days of WW2 and despite the simple waxwork figures, it’s quite a vivid impression you’re left with. The museum is located below the Upper Barrakka Gardens. With your back facing the entrance to the gardens, turn to your right down Triq Sant’ Orsola, take the first turn to the right and head down the road and steps and follow the signs. If you’re not very adventurous or steady on your feet this one may not be for you. If you’re up for a little walk across some of the rocky shoreline around For St. Elmo, you can get to the Breakwater bridge for some stunning views out over Grand Harbour. Before heading down there, however, it’s worth checking that the bridge is actually open as it may be closed to the public at times. Personnel at the ticket office of Fort St. Elmo or the Malta Experience (Sacra Infermeria) should be able to tell you. You can find your way around from the east, which is a short but rocky route with a few tricky places. The safer and easier route is entering from the west, although you’ll need to take quite a detour to get down to sea level. This is a fairly new museum dedicated fully to the history of the postal service in Malta since the 16th century. Modernly laid out, there’s a lot to see here in terms of historical objects, stamps and stamp design, vehicles used, post during British rule, etc. Malta’s human history dates back to around 5900 BC and numerous artefacts have been found across sites that date back to the early periods, telling a story of Malta’s earliest inhabitants. Moreover, you get a glimpse of some of the highly artistic figurines and rock carvings that have been recovered from the sites of some of the Neolithic Temples around in Malta. An audiovisual alternative to the Malta Experience, Malta 5D presents the story of Malta’s history in a more technologically advanced way with 3D visual and physical special effects. You can take a half-day guided walking tour through Valletta, along some of the most popular places to see from the above list. An experienced and knowledgeable guide will accompany you to give you in-depth info along the way. If you’d like to see Valletta, Mdina and the Mosta dome (church) at night, this “night tour” is a full arrangement that shows you the most beautiful parts of these locations under the moonlight. The two large natural harbours on either side of Valletta hold a lot of history and interesting sights to admire. You can take a Harbour tour that teaches you all about the history of the area while you enjoy the views. You’ll have to take a quick ferry ride to Sliema to hop on the boat tour and it’s well worth the price/time. The Malta International Fireworks Festival is held towards the end of April and sees a bright display of music synchronised fireworks lighting up the sky over Grand Harbour. The Feast of St. Paul’s Shipwreck is a local religious celebration in honour of St. Paul, to which one of the parishes of Valletta is dedicated. Similar to a regular village feast in Malta, band marches, fireworks and a generally festive atmosphere liven up the the area around the Church of St. Paul’s Shipwreck during the weekend. The feast is held on 10th February. Two Wine festivals are usually organised around end of July and August, where two of the main local producers (Marsovin and Delicata) offer wine tasting. Used primarily to promote their wines, the entertainment, relatively low entrance fee (usually around 10 Euro with a glass to keep as a memento) and mellow crowd make for enjoyable events. Being a relatively religious (Christian) country, some of the major events on the Catholic calendar get special attention. Particularly the Carnival in Valletta in February is a big deal with performances and brightly coloured ‘floats’ touring the streets. Notte Bianca has grown to become a real success that keeps bringing in the crowds in early October. With various museums keeping their doors open until late in the evening and performances and exhibitions on every corner in Valletta’s dimly lit streets, it’s a lovely event to attend. Can you advise me if the In Guarda parade will be held on 16 April (Easter Sunday), this year? Hi Andrew, according to the tourism authority’s events calendar the In Guardia parade will not be held on Easter Sunday this year.